The funeral industry is a small but steady share of the overall precast concrete market. The most common precast concrete products used in cemeteries are burial vaults and grave liners. These are large concrete boxes that protect caskets from the weight of the earth and damage caused by ground settling. 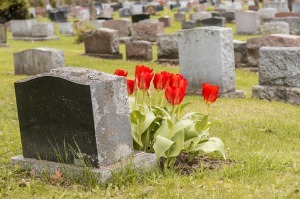 Fewer cemetery burials will limit demand for burial vaults and grave liners going forward. However, even as more young Americans, especially millennials, prefer cremation, those in their golden years will continue to favor burials. As cemetery burials decline, the precast concrete funeral products industry will adapt to these changes. Mausoleums, urns, and statuary are also made from precast concrete. Although more people choose cremation over a coffin burial, they may still choose to have ashes placed in a family plot or mausoleum. The Catholic Church, for example, forbids the scattering, storage, or display of ashes. In these cases, precast concrete will be used for vaults to contain cremation urns for burial. However, these products are much smaller and less costly than those used to contain coffins. Growth in spending on precast concrete funeral products will be stagnant going forward due to lower demand for large precast cemetery products including vaults and grave liners. This may pose challenges for manufacturers that focus on precast funeral products, such as Wilbert. However, most non-funeral segments of the precast concrete market can expect growth as construction expenditures continue to rise. Additionally, the aging population of America will continue to support other segments of the funeral industry. For more information about this and other trends in the US precast concrete industry, see Freedonia Industry Study Precast Concrete Products. The study presents historical and forecast information through 2025 for precast concrete by product, market, and US region and analyzes major industry players. For more information about trends in the funeral industry, see the Freedonia Focus Report Deathcare: United States. About the Author: Mariel Behnke is an Industry Analyst at The Freedonia Group, where she covers the US and global construction industries.